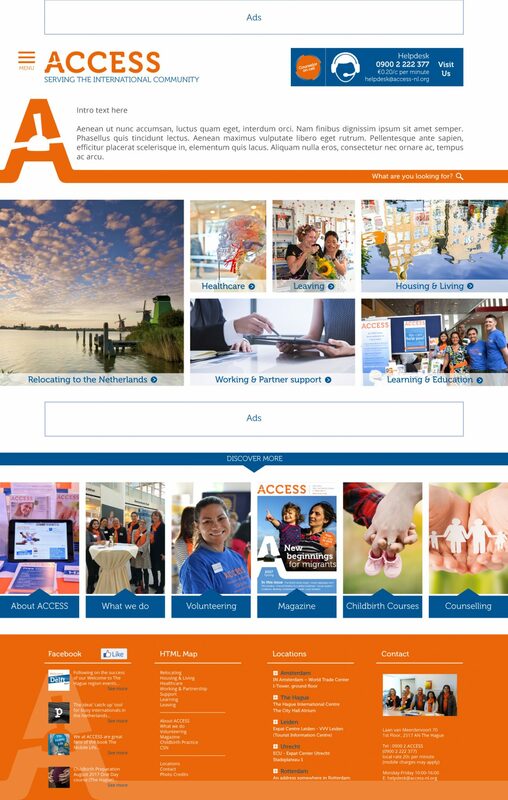 ACCESS came to me wanting a complete redesign of their current website using WordPress to allow their community teams and volunteers to be able to better maintain the content. In this project, I collaborated with Whello to bring this design to life. This is my final mock-up design of the website. I created mock-ups for 4 levels of pages, transitions and menus and several sub layers of this large and complicated site. 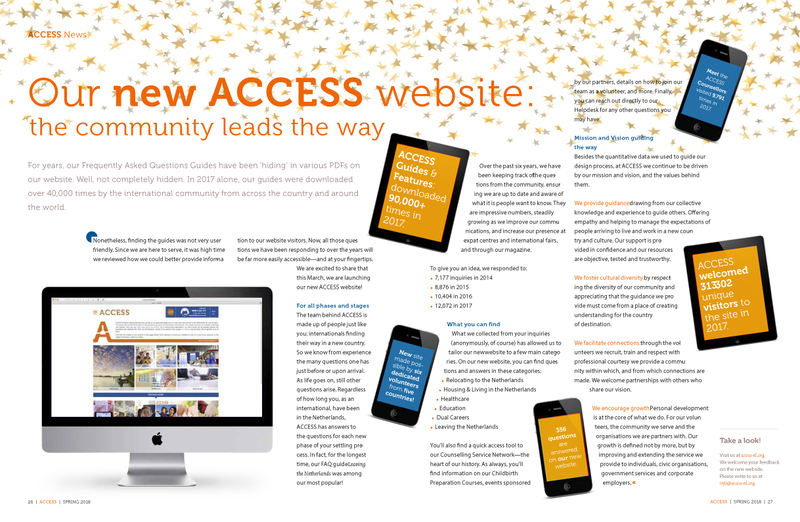 ACCESS announced the redesign of their website in their quarterly magazine!